All too often the tales of women go untold and unrecorded. In fact, a recent study found that less than 3% of the educational materials in schools focus on women’s history. Without these strong role models some girls will lack the self-esteem needed to make their goals a reality. In fact, they may only allow themselves to dream if exposed to women who, like our featured heroes, have succeeded despite their hardships. Many of our heroes have also risen above the abuse of their pasts to achieve extraordinary accomplishments. While viewing this film, girls will feel a new sense of hope for their future and the desire to develop the skills needed to succeed. Our goal is to give girls the desire, motivation, and tools needed to pursue their dreams. To raise the percentage of educational materials in schools focusing on women’s history. 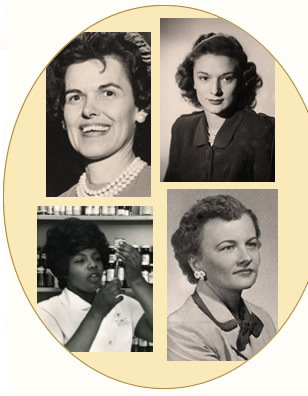 To preserve the essential stories of exceptional women in Texas History. To provide stronger role models for girls. To develop higher self-esteem in girls. To reduce the chance that girls will become victims of abuse. To teach all students the skills and attitude needed to succeed in life. To give Texas Students the desire to change their lives.